“You are to make an ornament of pure gold and engrave on it as on a seal, ‘Set apart for ADONAI.’ Fasten it to the turban with a blue cord, on the front of the turban, over Aharon’s forehead. Because Aharon bears the guilt for any errors committed by the people of Isra’el in consecrating their holy gifts, this ornament is always to be on his forehead, so that the gifts for ADONAI will be accepted by him. I get that as believers we are called as Sha’ul says to a “priestly nation”, but I never before in reading this saw how Aharon was a precursor to Yeshua. This badge worn on the turbin ensured our sacrifices however limited by our own failings would still be accepted. Just as our own broken selves are accepted by ADONAI when we come to trust in the sacrifice of Yeshua and His lordship in our live. Lord let me live justly in the joy of Your salvation. I ask this in Yeshua’s name, amen. To the people of Isra’el the glory of ADONAI looked like a raging fire on the top of the mountain. Moshe entered the cloud and went up on the mountain; he was on the mountain forty days and nights. There must be something to this time period. Noach and the waters scouring out a sinful world, Moshe receiving Torah, and scouring out the ones wanting an idol to worship, and Yeshua facing the adversary before beginning his ministry in ernest. When we are called to serve ADONAI there will be a time of winnowing or pruning. The dross of this world has to be removed so that the Lord’s kingdom can flourish. Now I don’t know how 40 days and nights figure in this but I do know we all will have our time in the desert. Abba strengthen me so I will never fall back on my worldly self and deny You. I ask this in Yeshua’s name, amen. Then Kefa, filled with the Ruach HaKodesh, said to them, “Rulers and elders of the people! If we are being examined today about a good deed done for a disabled person, if you want to know how he was restored to health, then let it be known to you and to all the people of Isra’el that it is in the name of the Messiah, Yeshua from Natzeret, whom you had executed on a stake as a criminal but whom God has raised from the dead, that this man stands before you perfectly healed. Kefa didn’t worry about any degrees he might need to present the Word. He didn’t worry about how he might sound to others. He just accepted the infilling of the Ruach and spoke truth to the Sanhedrin and the people on the healing ADONAI wants all to have through Yeshua. As believers we must trust that the Spirit will guide our words as we give our testimony to bring others to know God. Lord let all my testimony rest on You and don’t let me interfere with showing the world Your Living Word Yeshua. I ask this as commanded in Yeshua’s name, amen. 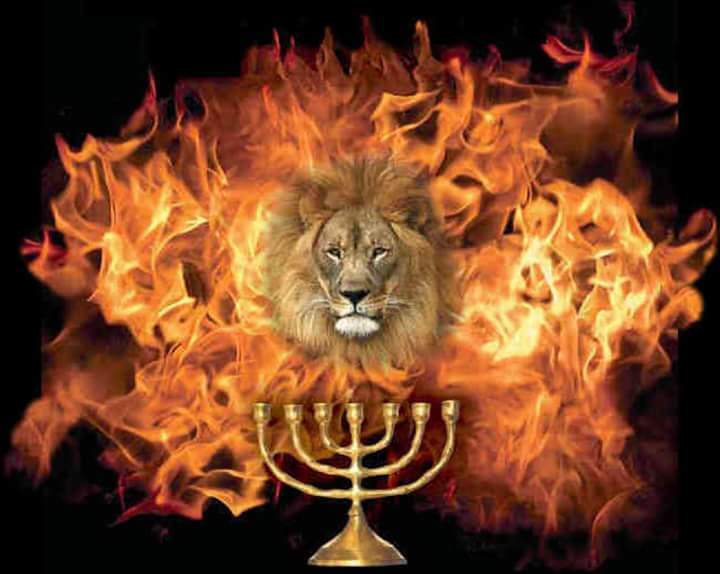 We cannot bend ADONAI to our will, there is no way we can force our way into heaven. He, as sovereign over us, has set the conduct for His throne, we can only approach through participating in the sacrifice of Yeshua and then we are to stand in worship while Yeshua sits at the right hand of God. I believe we have forgotten that in America where all of us have been raised on rags to riches stories of self made men. ADONAI has given us ten Words on which to govern ourselves four on how we are to approach and worship Him and six on how we are to treat each other. I wonder how many of us really remember to obey these Words of God. Dear Lord I cannot live without Your Ruach in me. Invade my heart and fill me, write Your Word on my heart, mind and soul so that I cannot be mistaken for anything other than Your servant. I ask this in Yeshua’s name, amen. As ADONAI spoke to the people of Israel through Moshe, He repeatedly told them to listen intently. How many of us really do just that or do we let the events in our lives overtake the time that should have been devoted to God? I know I have been guilty many times in chasing money, being lazy, or in out right rebellion against ADONAI’s direction in my life. But He is patient and thankfully has continued to reveal His power to me so now I do listen and wait expectantly for His Word in my life. Praise You Lord for being tolerant of my wrongheaded rebellion and coming close to me in my times of distress. Lord thank You for collecting me and returning me to the herd like the lost lamb instead of culling me for sin I once dwelled in. Glory and honor to You Abba, Praise Your Holy Name. Then they returned the Shabbat-walk distance from the Mount of Olives to Yerushalayim. After entering the city, they went to the upstairs room where they were staying. The names of the emissaries were Kefa, Ya’akov, Yochanan, Andrew, Philip, T’oma, Bar-Talmai, Mattityahu, Ya’akov Ben-Halfai, Shim’on “the Zealot,” and Y’hudah Ben-Ya’akov. These all devoted themselves single-mindedly to prayer, along with some women, including Miryam (Yeshua’s mother), and his brothers. I know I have read this passage a lot but how did I miss this. Before the indwelling of the Ruach HaKodesh there was a time of concentrated and corporate prayer. When there is a Word from ADONAI we should be like the patriarchs and prophets of old and move without question, but when we are waiting to hear we should be in prayer and ask others to pray with us. I just never realized that until now. Lord forgive me for being stingy and selfish in my prayers but with this understanding let me open my heart even more to You. I ask this in Yeshua’s name, amen. Pharaoh summoned Moshe and Aharon and said to them, “This time I have sinned: ADONAI is in the right; I and my people are in the wrong. Intercede with ADONAI—we can’t take any more of this terrible thunder and hail; and I will let you go, you will stay no longer.” Moshe said to him, “As soon as I have gone out of the city, I will spread out my hands to ADONAI; the thunder will end, and there won’t be any more hail—so that you can know that the earth belongs to ADONAI. But you and your servants, I know you still won’t fear ADONAI, God.” The flax and barley were ruined, because the barley was ripe and the flax in bud. But the wheat and buckwheat were not ruined, because they come up later. (Maftir) Moshe went out of the city, away from Pharaoh, and spread out his hands to ADONAI. The thunder and hail ended, and the rain stopped pouring down on the earth. When Pharaoh saw that the rain, hail and thunder had ended, he sinned still more by making himself hardhearted, he and his servants. How many times have I been like Pharaoh begging ADONAI to bail me out of a situation that in truth I got myself into with bad decisions and selfish desires. Only when God saves me then to go right back to the bad decisions that got me there in the first place. Pharaoh is the negative example and is probably why the gospels record over and over Yeshua saying “Go and sin no more.” Lord forgive me for all my backsliding and insincere pleas for mercy. You have opened my eyes to Your Word help me to follow in such a way to please You. I ask this in Yeshua’s name, amen. Moshe said this to the people of Isra’el. But they wouldn’t listen to him, because they were so discouraged, and their slavery was so cruel. How many of us have come across someone who refuses to even accept ADONAI in their lives because they are too wrapped up in their own world of self pity and pain. While there is a sin that leads to death (denying the Ruach HaKodesh) there is no other sin that cannot be forgiven. I have also crawled into this pit of pain and self loathing only to be lifted out as I saw God move in my life. It was the same for the people of Isra’el, they came to trust as they saw ADONAI move mightily against Pharaoh. Lord please let me be of use to remove the self imposed blinders that keep people from knowing You. I ask this in Yeshua’s name, amen. When ADONAI saw that he had gone over to see, God called to him from the middle of the bush, “Moshe! Moshe!” He answered, “Here I am.” He said, “Don’t come any closer! Take your sandals off your feet, because the place where you are standing is holy ground. But he replied, “Please, Lord, send someone else—anyone you want!” At this, ADONAI’s anger blazed up against Moshe; he said, “Don’t you have a brother, Aharon the Levi? I know that he’s a good speaker. In fact, here he is now, coming out to meet you; and he’ll be happy to see you. You will speak to him and put the words in his mouth; and I will be with your mouth and his, teaching you both what to do. How many times have we as believers been like Moshe, called by ADONAI and we jump to saying “here I am, I am ready!” Then we find out what the task is and start making excuses. To every one of Moshe’s excuses ADONAI already had the answer. Still after all this provision Moshe was afraid to move forward, his “God let someone else do this,” finally provokes ADONAI to anger. I am sure if Moshe had dwelled in his own selfishness there would have been another to follow ADONAI and free his people, but how ever unwilling Moshe did as commanded and as God cleared out the obstacles for him time and again and Moshe’s trust became such that he is called a friend of God. Abba please bear with me when I am timid and afraid to follow. Give me boldness and courage to stand up for Your Word Yeshua no matter what even though I have failed in the past. I ask this in Yeshua’s name, amen. By standing firm you will save your lives. There is no other way to live but to stand firmly on the rock of our salvation which is Yeshua haMashiach, Jesus the Messiah! For too long the body of believers have been silent about their trust in ADONAI and the morality of this nation and the world has suffered for it. If we are believers who truly trust in God’s Word then we must stand firm and do not cave to selfish desires that will destroy us. Lord make me a bulwark to hold fast in this sea of humanism sweeping our land. Let me always stand firmly on Your Word and let my actions show that You hold me dearly in Your hand. I ask this in Yeshua’s name, amen.